In September 2013, Celebrity chef James Martin opened his brand new restaurant inside the Manchester235 Casino. 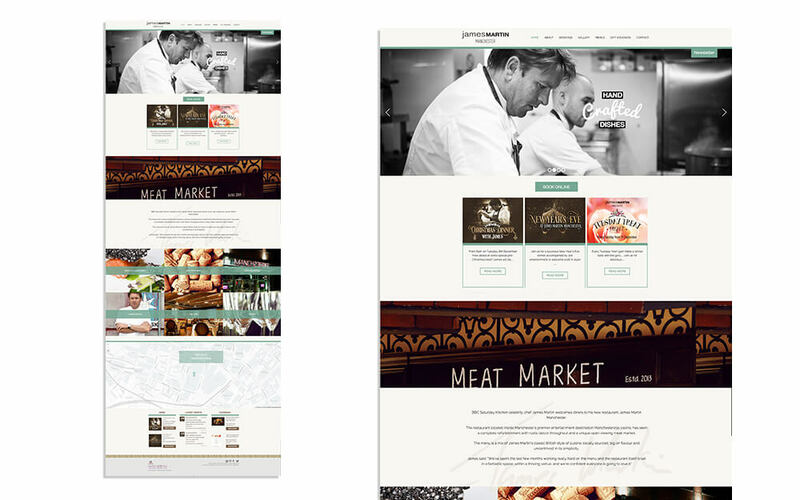 I worked with James Martin and his team to create a strong web presence for the new restaurant, showcasing the unique brand and delicious food. 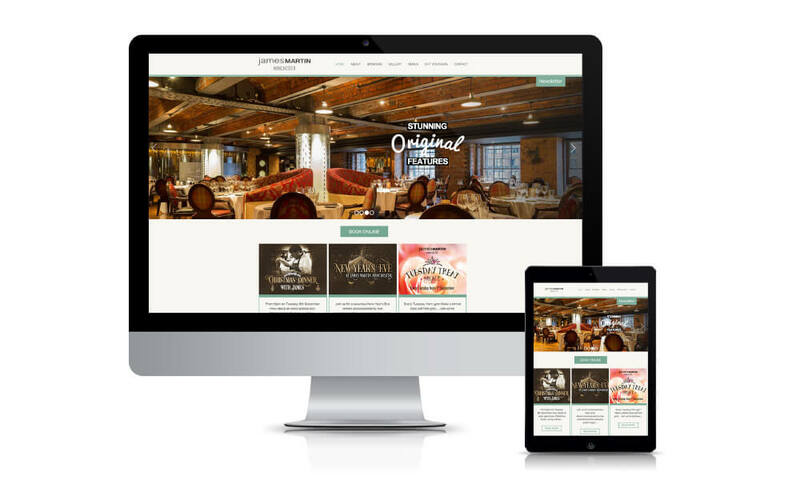 The fully responsive website has an interactive parallax homepage which acts as a portal to all the different areas of the site such as galleries, menus and contact details, all of which are designed to support ongoing updates of news, blogs and social feeds.